LIVE database and October data are here! We are pleased to remind you that SEMrush has recently been completely upgraded to the Live database update. We hope you have gotten a chance to take advantage of this! 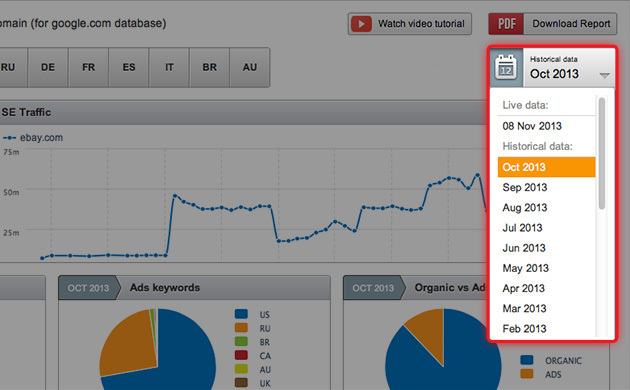 Also, as an SEMrush Guru or Enterprise user, you get access to historical data. This option allows you to track data for any month since 2012. October data is already there! Looking for historical data? Become an SEMrush Guru or Enterpise user at http://www.semrush.com/prices.html. PDF Report Option for the Tracking Tool!